Creating Custom Facebook Tab For Your Facebook Fan Page actually follows the same principle we described for creation of a Facebook App, with some extra steps. There are various existing reasons for creating Custom Facebook Tab, one of them is to engage the visitors. How you will engage visitors; i.e. what content should go there is a bit different topic and we will discuss in details later in a separate article, this guide is for the technical aspects of Creating Custom Facebook Tab For Your Facebook Fan Page. The best way is get started with the basics from this guide for Deploying a Facebook App With Heroku Cloud. Heroku Cloud has the advantage of getting Free SSL / HTTPS url. We have many articles for deploying various types of Facebook App, best is to use WordPress – Deploying WordPress as Facebook App With Heroku Cloud. With WordPress, that Custom Facebook App will act in the way you want, you can allow comments, you can basically rewrite the titles in an attractive way to catch visitors with excerpt, you can offer Email subscription form etc. 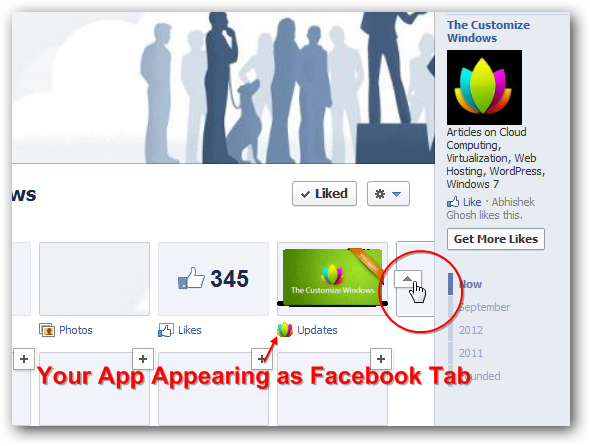 This is basically the Newer method for Creating Custom Facebook Tab For Your Facebook Fan Page. Just do not use any Facebook App domain URL inside your App settings, that will return error. This Article Has Been Shared 8607 Times! What Peer-to-Peer (P2P) and what are the risks of using it? An overview and basic working principle of peer-to-peer (P2P) file sharing system. Metacomputing is basically is the separate still ill-defined branch of knowledge oriented science which involves research and development through Computers. Web 2.0 and the closely related social networks are currently on everyone’s lips. However, there are privacy advocates who warn about the problems with the social networks. 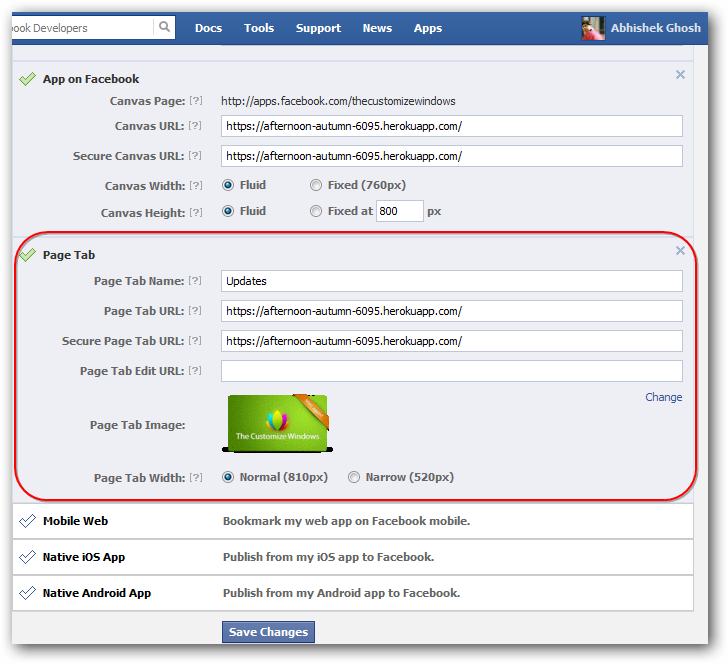 Cite this article as: Abhishek Ghosh, "Creating Custom Facebook Tab For Your Facebook Fan Page," in The Customize Windows, October 22, 2012, April 19, 2019, https://thecustomizewindows.com/2012/10/creating-custom-facebook-tab-for-your-facebook-fan-page/.